Best VPN Reviews 2019 – Compare and find the best VPN account providers. Private Internet Access provides unlimited bandwidth which is multi-homed across the Globe. Our multi-gigabit private network provides fast speeds for VPN users, without any restrictions. We provide access to all websites and all P2P services at one low price. Our main focus is privacy, and as such, we do not log any traffic. All users are able to connect up to five (5) times simultaneously, to ensure protection for more than one device, or to enable multi-hop technology for further anonymity. Browse safely with Private Internet Access™, the leading VPN tunnel service. – We now allow up to 5 simultaneous connections per account. – We offer service in 10 countries: USA, UK, Canada, Switzerland, Netherlands, Sweden, France, Germany, Romania, and Hong Kong. Private Internet Access average rating: 3.3 /5 based on 8 reviews. For the first three months of this service I did not have problems. Not the fastest but good enough. They no longer unblock Netflix and other sites that restrict geographical unblocking. When travling I can not watch the shows I pay for in the USA. When speaking to support they have no plans on fixing this and told me they do not support illegal activity. Support said they unblock the great firewall of China (illegal). You can not travel worry free with out thinking about geographical restrictions as they promise on their website. Now I need to get another service and try for refund. My experience with PIA has been awesome. Great price for a great service. 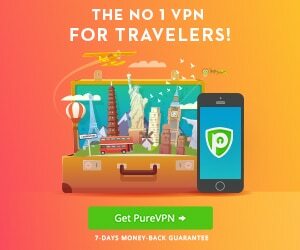 I’ve tried a few different VPN’s, but PIA has been the fastest and the most reliable thus far. Their support agents are also very polite and have been able to help me out every single time. Would definitely recommend! PIA cannot provide standard service. I complained about speed problem for more than 3 weeks. They still cannot fix the problem. Very disappointing. Will not use them again. Unreliable. By the time I found out how unreliable the service was, they would not refund any money. They respond to chat, but after many chat sessions, the service is still unreliable. They ask me to change the Connection Type or Remote Port, and then the service starts to work better. A few days later, it fails again. The icon turns red, and the VPN connection is dropped. The VPN Kill Switch does not work. I cannot depend of this service using their client. Money down the drain. I just wished it worked. I’ve had this service for 2 months. I’ve come home from work several times where the VPN was disconnected. Their preferred client application doesn’t make an attempt to reconnect. I submitted a support ticket and sent my log but they ignored me, even though I would get an email every few days asking if my problem was resolved. Also their website states that their VPN provides an Internet Kill Switch, but I found no way to set this up and there are no instructions on the website. Overall, unreliable and terrible support. 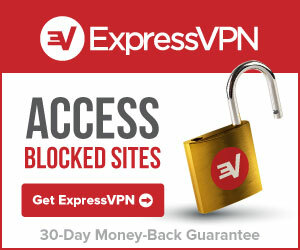 Copyright © 2019 Best VPN Reviews 2019 – Compare and find the best VPN account providers..